Recent Florence Biennale produces unlikely Canadian-Dutch creative partnership. Artists Deborah Holowka (Vancouver, Canada) and Thomas van Wagensveld (Amsterdam, Holland) have begun an eight-week collaboration project in Vancouver, BC. Artists Deborah Holowka (Vancouver, Canada) and Thomas van Wagensveld (Amsterdam, Holland) have begun an eight-week collaboration project in Vancouver, BC. Their new works will be the subject of a documentary and will be exhibited in Vancouver at William & Clark Studios on April 24, 2008, from 4 p.m. to 8 p.m.
Holowka and van Wagensveld met in Italy while exhibiting at the 2007 Florence Biennale, the most comprehensive exhibition of Contemporary artists in the world. Although vastly different in their personalities, they quickly developed a strong rapport. They share similar life philosophies, an eagerness to learn, and a desire to challenge the boundaries of conventionalism. "Together, we are the perfect thing", acknowledges van Wagensveld. "We filter our thoughts, colour composition and techniques through each other. This allows us to bring the work to a place that is fresh and more open and reach the purest form of abstraction." The duo's first series entitled, In the Moment, speaks to the importance of 'living' in the moment which is clearly demonstrated by the immediacy of their collaboration; an act in itself that speaks to the serious commitment-level both artists have invested in this project. Says Holowka, "Creating art with a purpose is important to us. We want to inspire young artists to think outside of the box and challenge the status quo which collaboration does naturally, because it takes a great deal of confidence, energy and patience to listen to someone else's ideas." This open, enthusiastic attitude, finds its way onto the canvas without imposing change upon the style of either artist. 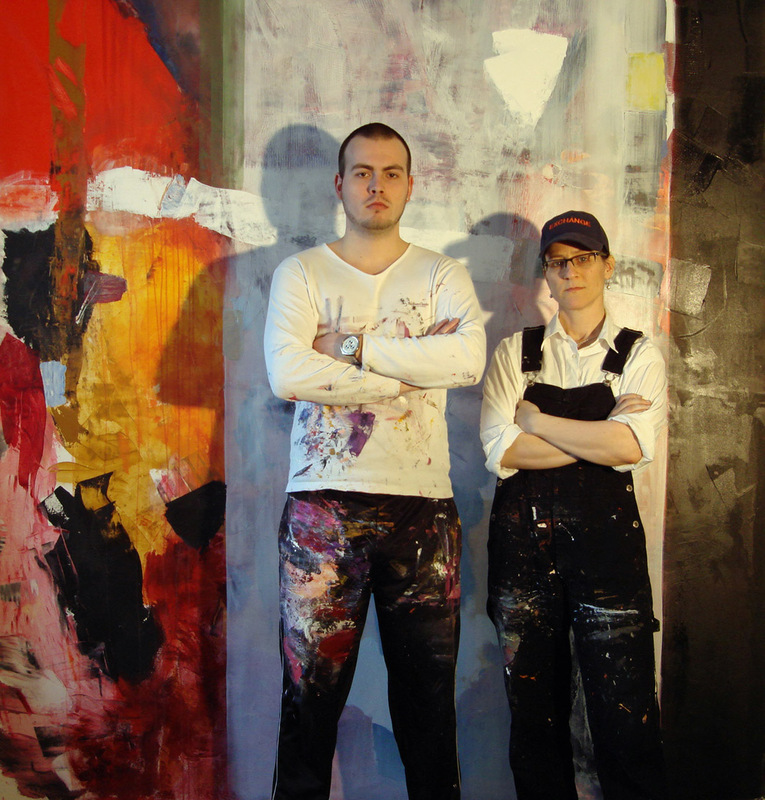 By leveraging their respective strengths, Holowka and van Wagensveld succeed in creating a powerful Yin and Yang in their large, abstract works. Deborah Holowka is the creator of DanushaTM (http://www.danusha.ca), an Energy and Art Experience that involves capturing, translating and transferring energy snapshots of her subject matter onto canvas. Thomas van Wagensveld is inspired by COBRA and starts from the point where the avant-garde movement left off. He thinks in images rather than words and works to bring people as close as he can to the reality of how he feels. For more information or to RSVP for the open studio, please contact Deborah Holowka at dholowka @ yahoo.com or telephone +1-604-879-1236.